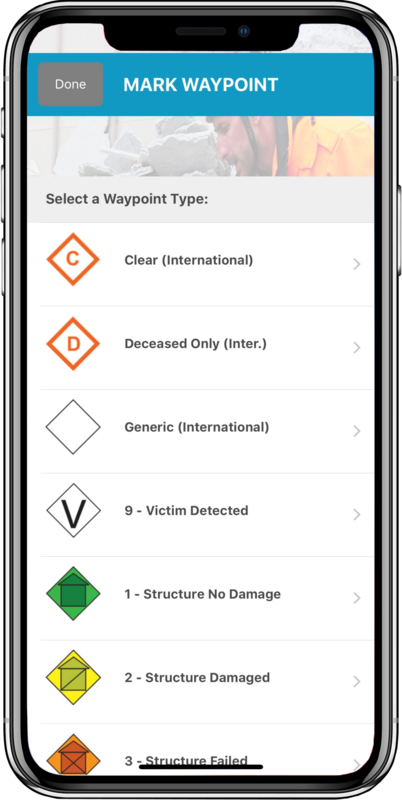 GPS Tracks and Waypoints - Disaster Surveyor Systems, Inc. 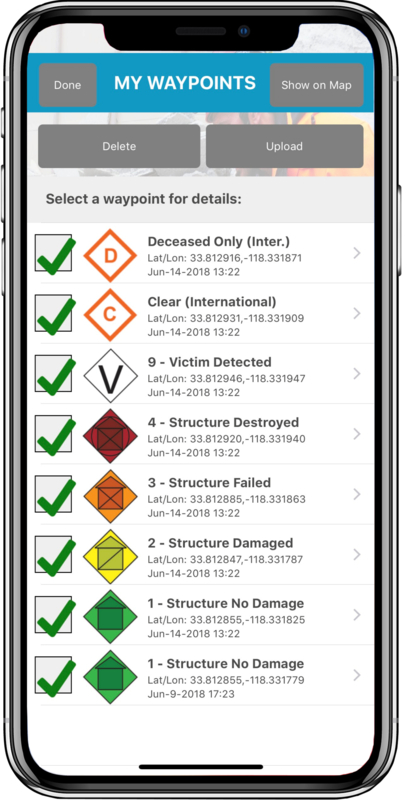 The GPS and Waypoints features of Disaster Surveyor have been designed with years of real world search and rescue experience to focus on the key core features that have been found useful over time. 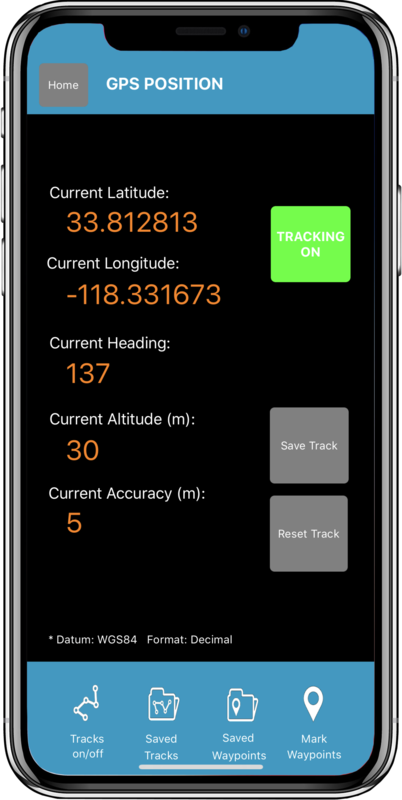 In addition to the main GPS bearings, Disaster Surveyor can keep track by distance or time intervals set in the Settings screen, which can be saved in track sets and uploaded to the website for use on mapping tools and exports as a KML file. 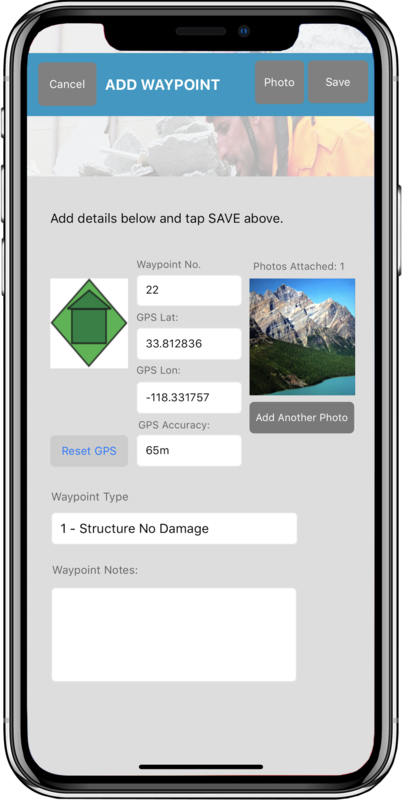 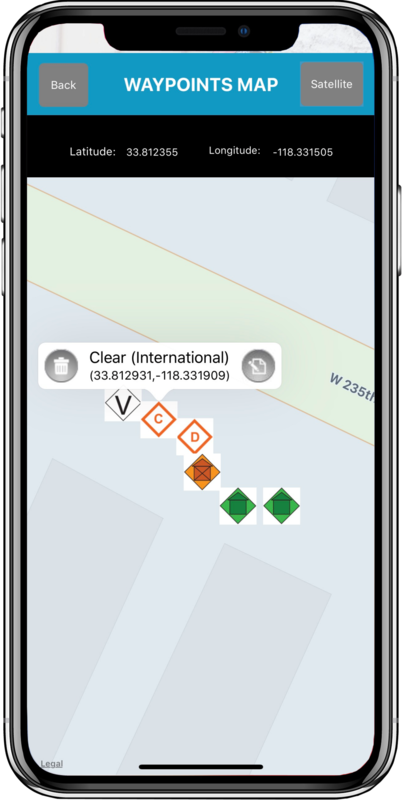 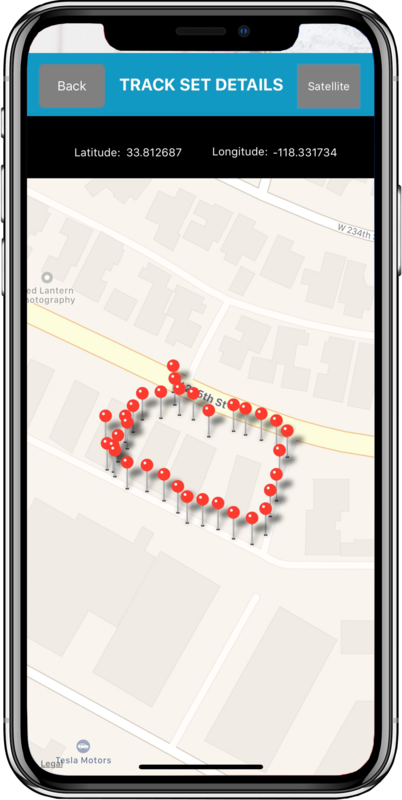 The GPS screen also has a waypoints feature, so that as you survey a disaster worksite, an INSARAG or FEMA waypoint icon can be chosen, custom notes and a photo added, and mapped on an area map within the app as well as upload to the website by associating to a Sector form.